This book completely wrecked me. I mean ugly ugly cry. 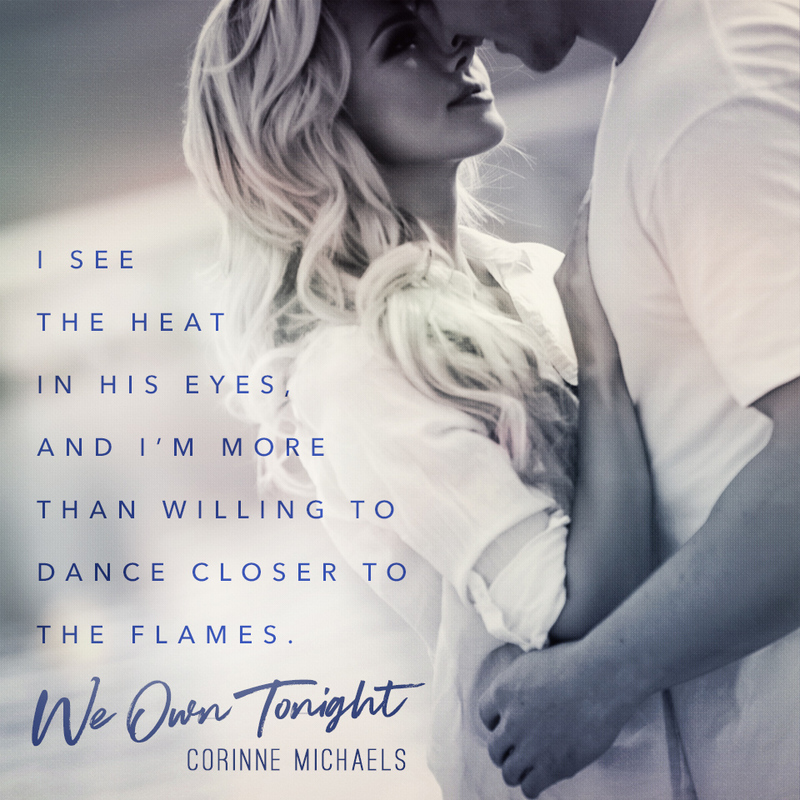 Before you start reading We Own Tonight by Corinne Michaels make sure that you have a box of Kleenex. Trust me, you're gonna need them.....multiple times. This book literally had me hooked by the end of chapter one. Heather is so relatable. I felt like I could be her. I too have had a parent die and a sister that had a vicious disease. She took care of her sister like I've taken care of my father since I was just a girl myself. Heather really hit home for me. She is also a cop. She lives to protect and serve. Then there is Eli, the Rockstar/actor. What isn't to like about him. He has fame and fortune. He has it all except for love. Then as fate would have it Heather and Eli cross paths at a concert where his band is playing. I'd like to say to say they fell in love and lived happily ever after. The end. But hold up, it didn't quite rock and roll that way. What does take place is an epic love story with as many ups a downs and twists and turns as the most exhilarating roller coaster. By the way, there are roller coasters in this book. It isn't just a metaphor. Corinne Michaels ripped my heart out, stitched it back up only to yank it back out again. Then she went and made it whole. Only she knew it was lacking something. It wasn't until everything came to fruition that she mended it and but it back for good. I can only wish for a love like this. Don't be afraid to let love in, your heart speaks volumes, listen to it. Those letters from her sister just about did me in. Cue the ugly ugly crying. Yet they also provided some much needed comic relief. I love love love the storyline and characters. I'm always down to read about a hot Rockstar. Lol. I love Heather and Eli's banter and chemistry. What was supposed to be a one night stand turns into an epic romance. Yes there is love and loss and the is also a HEA without a cliffy. Well, I take the cliffy part back, but you will understand why after reading it. I love the dual perspective. I love knowing what is going on in their heads and seeing their internal struggle. We Own Tonight is by far the best book I have read this year. I cannot say enough good things about this book. It truly is one-click worthy. I give it 5 Epic Love Stars. If I could give it more than 5 stars I would. This book was the first book I have read by Corinne Michaels and I will definitely be checking to see what else she has to offer. I love discovering new to me authors. If you haven't read anything by this author, have read everything, or anything in between be sure to check this one out. 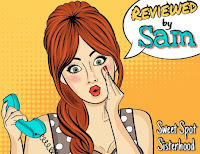 This review is for The Sweet Spot Sisterhood Blog. "Thank you Jesus for beer. Or whichever person made it"
Gold. Pure gold. Corrine Micheals makes you laugh, cringe, smile, and have tears streaming down your face. Hope, despair, and fingers crossed will keep you reading the magic that is contained in these pages. Magic that has you cracking up when you want to cry. Magic that makes crowds disappear. Magic that makes even hurts go away. It's a beautiful thought..to own the night. But it's all about what you do with it!